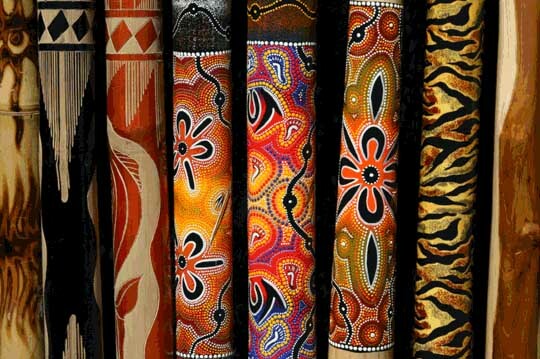 Authentic Aboriginal didgeridoos are produced in traditionally oriented communities in Northern Australia or by makers who travel to Central and Northern Australia to collect the raw materials. They are usually made from hardwoods, especially the various eucalyptus species that are endemic to the region. Sometimes a native bamboo, such as Bambusa arnhemica, or pandanus is used. Generally the main trunk of the tree is harvested, though a substantial branch may be used instead. 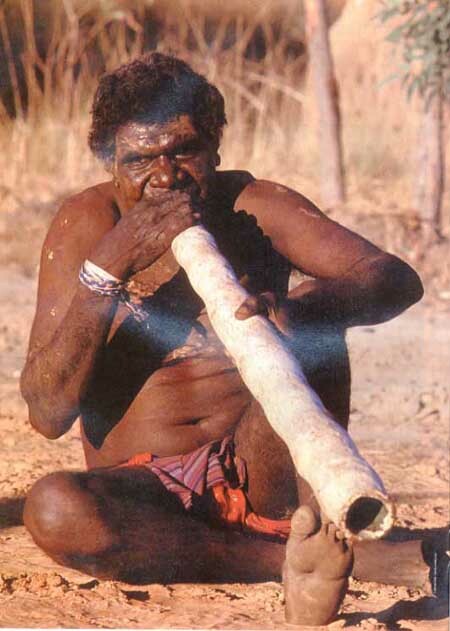 Aboriginal didgeridoo craftsmen hunt for suitably hollow live trees in areas with obvious termite activity. Termites attack these living eucalyptus trees, removing only the dead heartwood of the tree, as the living sapwood contains a chemical that repels the insects. Various techniques are employed to find trees with a suitable hollow, including knowledge of landscape and termite activity patterns, and a kind of tap or knock test, in which the bark of the tree is peeled back, and a fingernail or the blunt end of a tool, such as an axe is knocked against the wood to determine if the hollow produces the right resonance. Once a suitably hollow tree is found, it is cut down and cleaned out, the bark is taken off, the ends trimmed, and the exterior is shaped; this results in a finished instrument. This instrument may be painted or left undecorated. 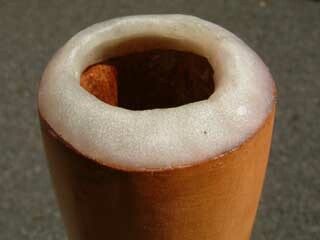 A rim of beeswax may be applied to the mouthpiece end. Traditional instruments made by Aboriginal craftsmen in Arnhem Land are sometimes fitted with a 'sugarbag' mouthpiece. This black beeswax comes from wild bees and has a distinctive aroma. Non-traditional didgeridoos can also be made from PVC piping, non-native hard woods (typically split, hollowed and rejoined), glass, fiberglass, metal, agave, clay, hemp (a bioplastic named zelfo), and even carbon fiber. These didges typically have an upper inside diameter of around 1.25" down to a bell end of anywhere between two to eight inches and have a length corresponding to the desired key. The mouthpiece can be constructed of beeswax, hardwood or simply sanded and sized by the craftsman. In PVC, an appropriately sized rubber stopper with a hole cut into it is equally acceptable, or to finely sand and buff the end of the pipe to create a comfortable mouthpiece. Other variations in the didgeridoo's sound can be made by adding vocalizations to the drone. Most of the vocalizations are related to sounds emitted by Australian animals, such as the dingo or the kookaburra. To produce these sounds, the players simply have to use their vocal cords to produce the sounds of the animals whilst continuing to blow air through the instrument. The results range from very high-pitched sounds to much lower guttural vibrations. Adding vocalizations increases the complexity of the playing. 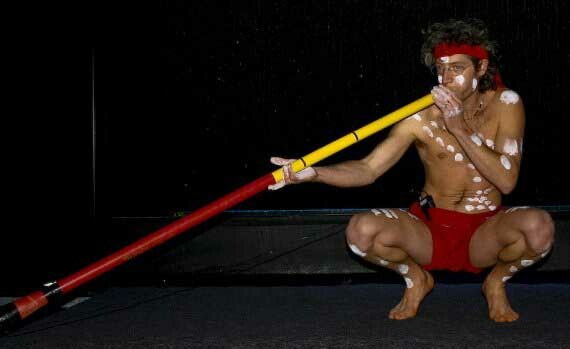 Traditionally, only men play the didgeridoo and sing during ceremonial occasions, although both men and women may dance. Female didgeridoo players do exist, but their playing takes place in an informal context and is not specifically encouraged. Linda Barwick, an ethnomusicologist, says that though traditionally women have not played the didgeridoo in ceremony, in informal situations there is no prohibition in the Dreaming Law. For example, Jemima Wimalu, a Mara woman from the Roper River is very proficient at playing the didgeridoo and is featured on the record Aboriginal Sound Instruments released in 1978. In 1995, musicologist Steve Knopoff observed Yirrkala women performing djatpangarri songs that are traditionally performed by men and in 1996, ethnomusicologist Elizabeth MacKinley reported women of the Yanyuwa group giving public performances. On September 3, 2008, however, publisher Harper Collins issued a public apology for its book "The Daring Book for Girls" which openly encouraged girls to play the instrument. While there is no prohibition in the area of the didgeridoo's origin, such restrictions have been applied by other Indigenous communities. 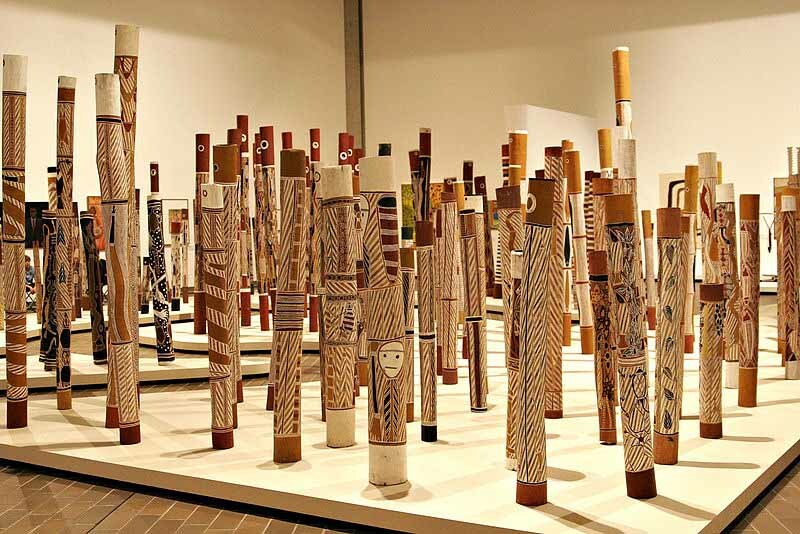 The didgeridoo was introduced to the Kimberlies almost a century ago but it is only in the last decade that Aboriginal men have shown adverse reactions to women playing the instrument and prohibitions are especially evident in the South East of Australia. The belief that women are prohibited from playing is widespread among non-Aboriginal people and is also common among Aboriginal communities in Southern Australia; some ethnomusicologists believe that the dissemination of the Taboo belief and other misconceptions is a result of commercial agendas and marketing. 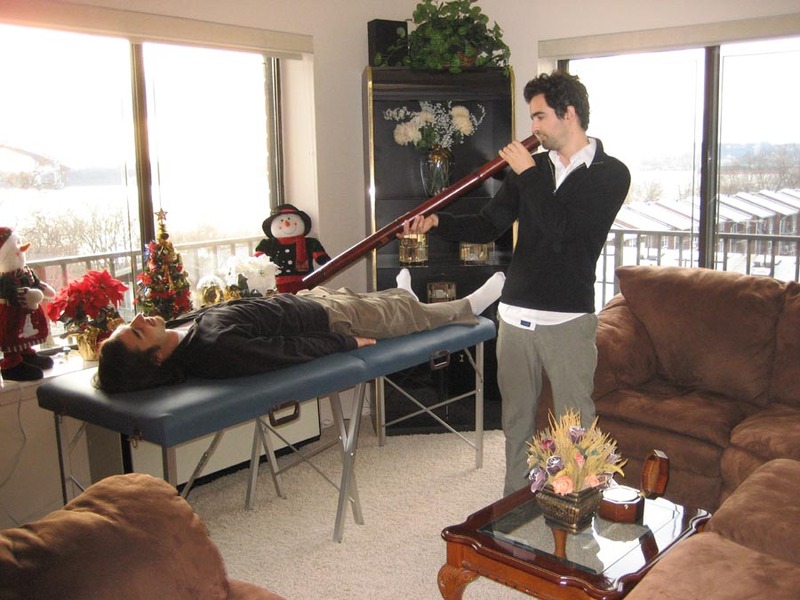 Tourists generally rely on shop employees for information when purchasing a didgeridoo. 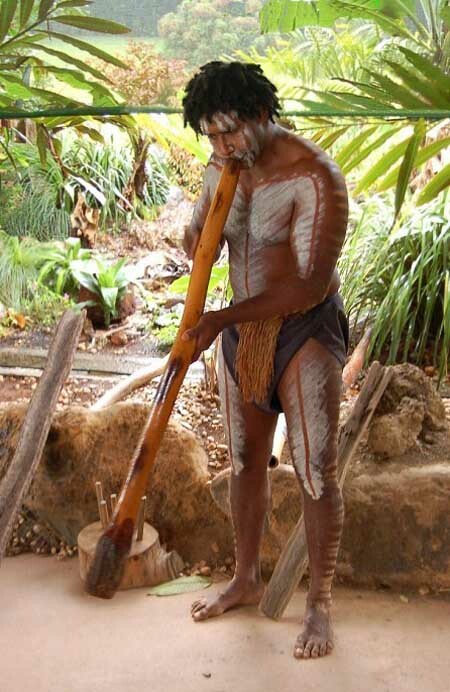 Additionally, the majority of commercial didgeridoo recordings available are distributed by multinational recording companies and feature non-Aboriginals playing a New Age style of music with liner notes promoting the instrument's spirituality which misleads consumers about the didgeridoo's secular role in traditional Aboriginal culture. 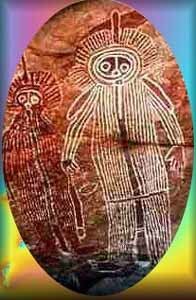 The Taboo belief is particularly strong among many Indigenous groups in the South East of Australia, where it is forbidden and considered "cultural theft" for non-Indigenous women, and especially performers of New Age music regardless of gender, to play or even touch a didgeridoo.